Few topics receive more attention in the media and in our own conversations than food. Everyone loves to eat! But how do we know what to eat to stay healthy, prevent and treat common illnesses, preserve our planet, and fully enjoy our food? This course, designed for all that love to eat, is taught by UCSF nutrition experts from the Schools of Medicine and Nursing. The course will provide the latest scientific evidence supporting healthy food choices and provide practical advice on preventing and treating common illnesses with nutrition. How much will the seas rise in any given spot? When? What impacts will be felt? Who will be obliged to move out of harm’s way? What can be done to mitigate or adapt to these circumstances? This new series presented by the Carsey-Wolf Center at UC Santa Barbara addresses the issues in communicating the science and threat of sea level rise and its impact on indigenous people. Renowned researchers, policy makers, producers, and other food system leaders address pressing issues and discuss potential solutions for feeding the world’s population using a healthy and ecologically sustainable food supply. The emergence of drones and other unmanned aerial vehicles (UAVs) has raised challenging questions about the ethics of their use in military and civilian operations. Join our UAV experts as we explore the issues that surround these new technologies. In 2008, Sadakat Kadri began an intellectual journey that would take him to Pakistan, Syria, Egypt, as well as to his father’s birthplace in Northern India, in order to better understand both the history and the meaning of Shari’a law. Kadri recounts this odyssey in his highly acclaimed 2012 book Heaven on Earth. 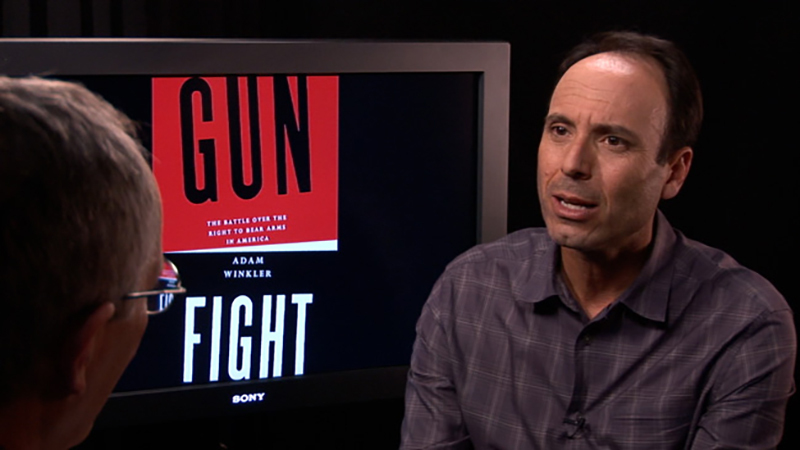 In May, Kadri spoke with California Lawyer editor Martin Lasden. Seven Big Ideas Seven Berkeley Lab scientists present BIG ideas. Learn about the game-changing concepts scientists work on every day. How Hot Will It Get? Explore the latest projections about the extent of planetary warming and the dire consequences of our growing carbon imbalance. Former U.S. Have you ever wondered what it would be like to be a first year medical student? Are you planning to pursue a career in healthcare but want to learn more first? Learn from the same faculty who teach the fundamental concepts of medicine to first-year medical students at UCSF. Take an exciting and in-depth look at the core concepts of Anatomy, Physiology, and Pathology. Whether you appreciate cycling for its fitness, fun, or functionality, Osher’s Mini Medical School has a new series for cyclists of all abilities. Watch the Medicine of Cycling series to learn about cycling injuries and treatments, tips to find a bike that fits you, the best diet to fuel your body for cycling, and more. What’s in a word? Former diplomats Kurt Campbell and Susan Shirk discuss the unintended consequences of choosing “pivot” to describe a new approach to China during Campbell’s years in the State Department. Sit down with screenwriter Jeff Arch as he talks about his most popular work to date, “Sleepless in Seattle.” He also shares a very personal story when asked about his favorite movie theater going experience. Former U.S. Senator Russ Feingold joins UC Hastings law professor Evan Lee on Legally Speaking to discuss the war on terror and how the senate has changed over the years. Feingold is most famous for his co-sponsorship of the Bipartisan Campaign Reform Act of 2002 and for being the only member in the senate to vote against the USA Patriot Act because of its threat to civil liberties. If you enjoy what you do, you’ll never work a day in your life. But how do you land your dream job? Top career coach and author Robin Ryan visited UC San Diego for 2013 Career Boost Camp and UCSD-TV has captured some of her tips for taking your career to the next level. Hear her strategies for promoting your own personal brand that will allow you to pursue more fulfilling work, while representing yourself as best you can to potential employers. Watch “60 Seconds and You’re Hired!” with Robin Ryan as she discusses how to improve your career with Reo Carr, executive editor of San Diego Business Journal. 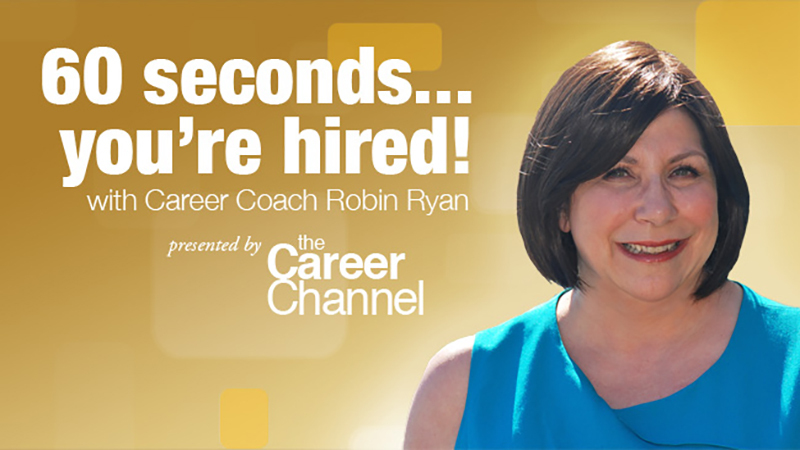 For more career tips check out Robin Ryan’s book, “60 Seconds and You’re Hired!” or check out the articles, videos and podcasts available at The Career Channel.